Functional Voice Training demystifies ideas about aesthetics, breathing and diaphragmatic support. 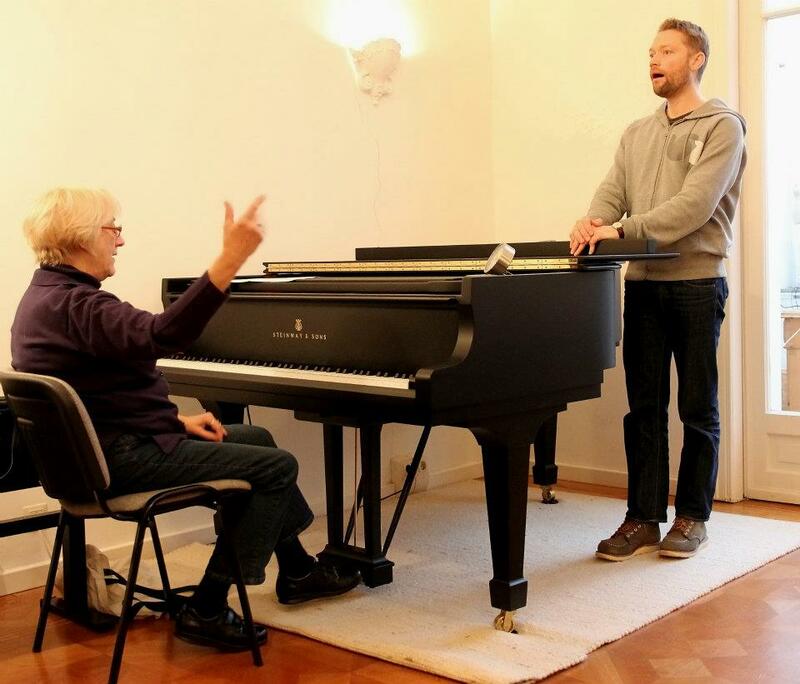 It allows both teacher and singer to explore the voice and its associated muscle systems, to identify its strengths and weaknesses and establish a variety of exercises that aid in healthy vocal development or repair. Much like a fingerprint, one voice cannot be duplicated by that of another singer. It can however, be trained and built to respond to musical phrases with good reflexive habits having more to do with relinquishing control than maintaining control. A singer thus learns to embrace his own voice, not one that is falsified through imitation or poor concepts. Without a comprehensive understanding of the vocal mechanism and the tonal qualities it yields, many teachers must resort to a “one-size-fits-all” approach to singing. Based on their own vocal training, these teachers have no choice but to pass on misguided instruction to hide vocal flaws such as breaks in the voice or lack of breath. This might be compared to an interior decorator who uses wallpaper to hide holes and cracks in walls instead of repairing them. Those singers who cannot respond to such instruction often come to believe they lack in talent and that liberated, free singing is an unattainable ideal. The despair of having a poorly functioning voice will cause many to leave their performance ambitions unrealised for life. “The Liberated Voice” has a developed, extended range of well over two octaves and can sing both fully and quietly within that range. A “Liberated Voice” is one which has been trained or cultivated to allow the singer to express his musical ideas freely and simply and without great bodily effort. The Liberated Voice gives the singer a sense of physical and emotional well-being. When liberated from undesirable muscular tensions, ALL voices are uniquely beautiful.